If you’re willing to spend at least a C-note on someone this holiday season, we’ll take it to mean you probably like them, at least a little. But if you’re willing to go the extra mile and spend two and a half C-notes on them, we’ll guess you really like this person… or you owe them big time. Either way, Motorcycle.com is here to help. Here are a few items spanning the $100 – $250 price range to either repay your riding buddy you convinced to help you move, or to give as a gift to butter your friend up to help you move again. If you act quickly, you might even be able to take advantage of extended Black Friday/Cyber Monday deals, too. If you’re the type that changes tires multiple times a year/season, you’re aware of the costs associated with taking the tires/wheels to your local shop to get it done. 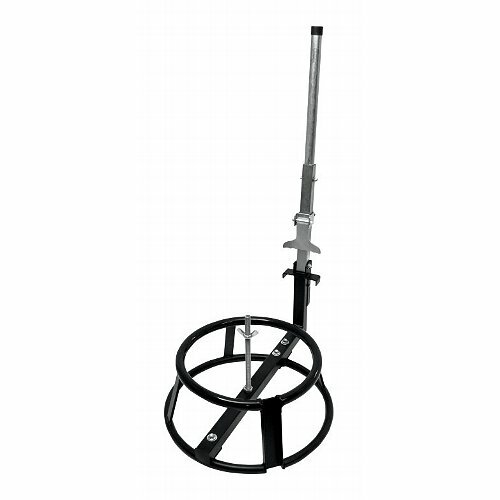 If you’re willing to do the work yourself to save some cash in the long run, for slightly more than a hundred bucks, this tire changing stand and bead breaker will save you a trip to the shop. Its steel construction will work with wheels ranging from 16 inches to 21 inches in diameter, and it’s portable enough to be taken to the track if you need. A rim protector set and tire irons are cheap and would really make this setup easier for tire changes. You could easily spend more than double the cost for fancier setups, but if you’re willing to spend that kind of dough on someone else, I’ll kindly accept your generosity too! 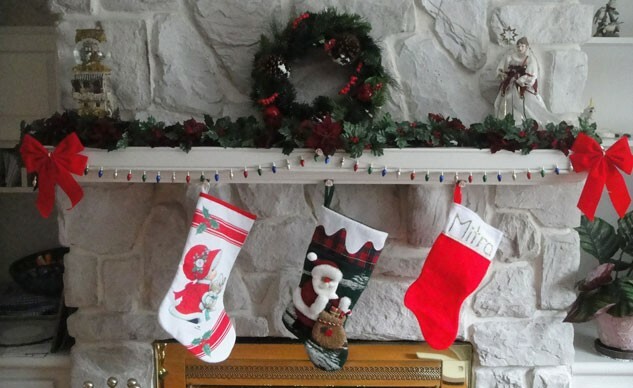 This might be the season for giving, but for thieves it’s always the season for taking. 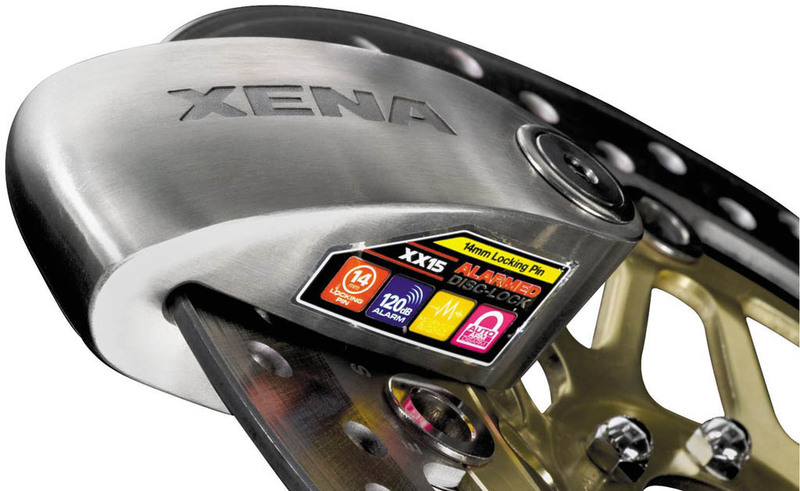 Make their task a little more difficult with the Xena XX15 Stainless Steel Disc Lock and Alarm. According to Xena, the 14mm double-locking, carbide-reinforced hardened-steel pin and high-security key barrel are resistant to freeze-spray, picking and “wedge attacks.” If a thief is persistent, shock and motion will trigger the built-in 120dB alarm and might be just enough to convince the scumbag to move on. For added security, a chain adapter is available for the XX15 (sold separately). The truth is not everyone feels like wearing a riding jacket when they hop on their bike, and when the weather starts to get chilly, the flannel shirts start to come out. 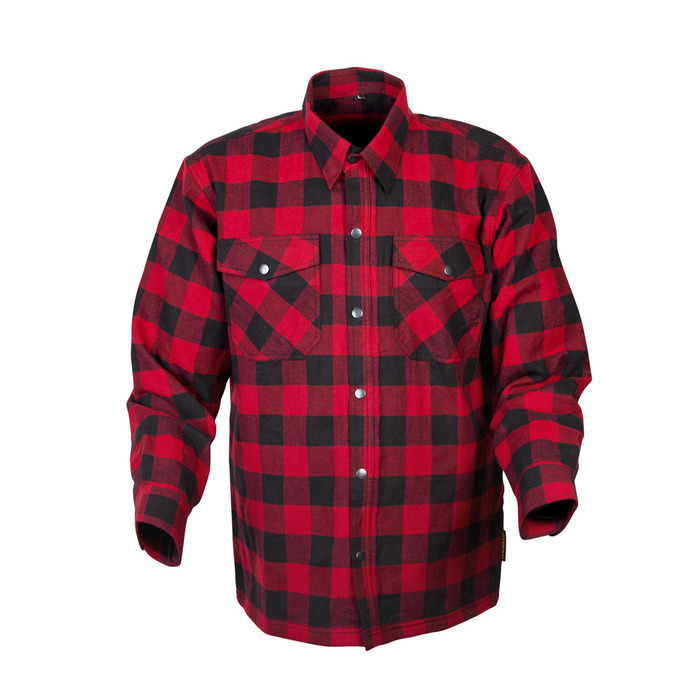 If you know a rider like this, the Covert Flannel from Scorpion might be worth a look. Here, Scorpion has taken the classic cotton flannel shirt and reinforced it with Kevlar to help resist abrasion in a fall. Critical seams are also strengthened with Exo-Stitch for further tear resistance. A quilted polyester lining helps keep the rider warm, and a YKK center front zipper is covered by snaps for an authentic look. While the Covert doesn’t come with impact protection, mesh pockets on the elbows, shoulders and back allow the use of optional CE-certified armor. Available in sizes ranging from Small to 3XL, the Covert Flannel is available at www.scorpionusa.com. Let’s face it: the holiday season is all about the kids anyway, and what better way to plant a huge smile on a kid’s face than by giving them a motorcycle. 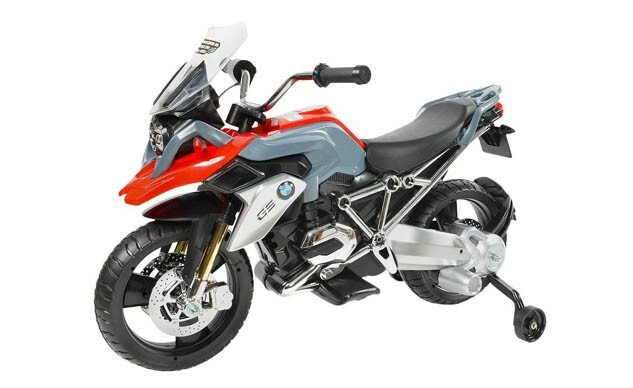 In this case, a miniature plastic BMW R1200GS from Target. It comes with outriggers to keep the little one from falling over, tops out at 2.5 mph, and even has functional LED headlights, a light-up dashboard, and sound effects. Of course, this might lead to your kid wanting a real R1200GS someday, but you can cross that bridge when you get to it. Setting the sag on your bike is one of the most important adjustments one can make to their suspension, but it can be tricky to do by yourself. It doesn’t have to be that way anymore with the Slacker Digital Sag Scale from Motool. The DSS features a strong magnet on its backing plate that attaches to either axle of most any dirtbike (a streetbike version is slated for early 2016). From there, extend its included rope to the anchor, which can be clamped to something like a number plate, and the DSS will return your static sag on its display. A secondary display can be strapped to the handlebar so the individual can then sit on the bike and see the amount the suspension compresses under load. With those numbers handy, proper adjustments can then be made. 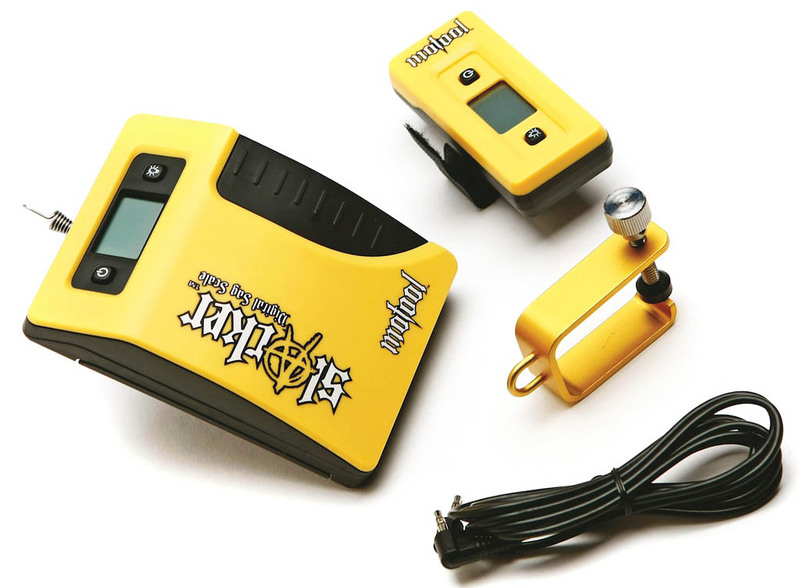 Seems like a pretty nifty tool for the rider serious about performance. See more of the Digital Sag Scale, including video tutorials, at the Motool website. Some of us ride to get away from electronics, but there are some really cool gadgets out there that can enhance the riding experience. From GPS to lap timers, satellite phones to GoPros, finding space for these things on our bikes can be tough. If your ride has a handlebar instead of clip-ons, the Smart Bar from Givi is a pretty nifty contraption. 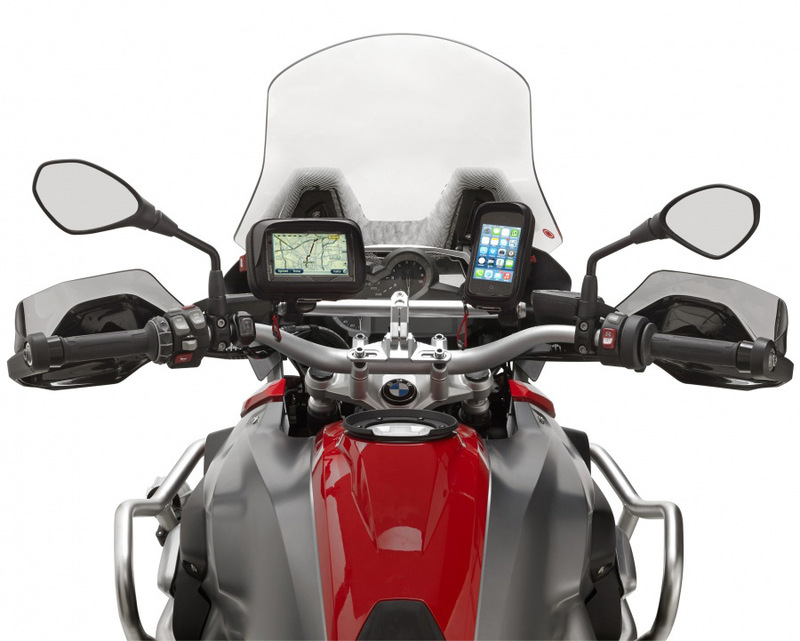 Available for a wide number of motorcycles (with a mounting kit sold separately for $11), the Smart Bar gives you a convenient place to mount your device(s). Simple, clean, and effective. Giviusa.com is where to go for applicable models and ordering info. What lady doesn’t like a pair of boots? Give them a gift they’ll love with the Alexa Boots straight from the Harley-Davidson Motor Clothes catalog (but manufactured by Wolverine). The Alexa features a full-grain leather upper and rubber outsole with full-length cushion sock lining. YKK locking inside zippers help keep the boot closed, and the lace-up backing looks nice on or off the motorcycle. Available in women’s sizes 5-11, order yours at Harley-Davidson.com. What more can be said about GoPro cameras that haven’t been said already? The industry standard when it comes to action cameras, about the only thing left to add is that GoPro has different tiers of cameras to suit different budgets. The Hero+ seen here is the company’s entry-level camera, but it still offers 1080p60 video and 8mp photos. It also has wifi and Bluetooth, providing access to the GoPro app and smart remote, the former lets the user control the camera remotely, preview shots, play back content and create short highlight clips directly from your smartphone or tablet for instant sharing on social media. 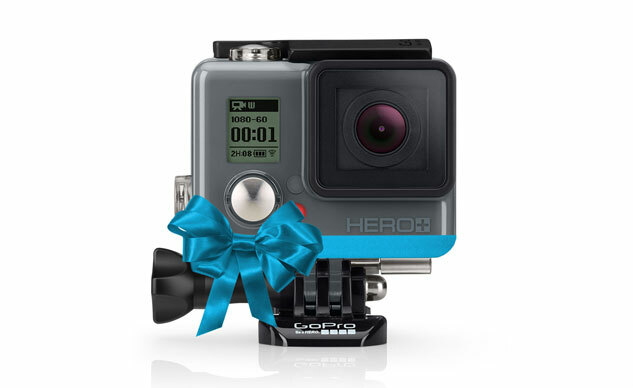 Learn more at the GoPro website. 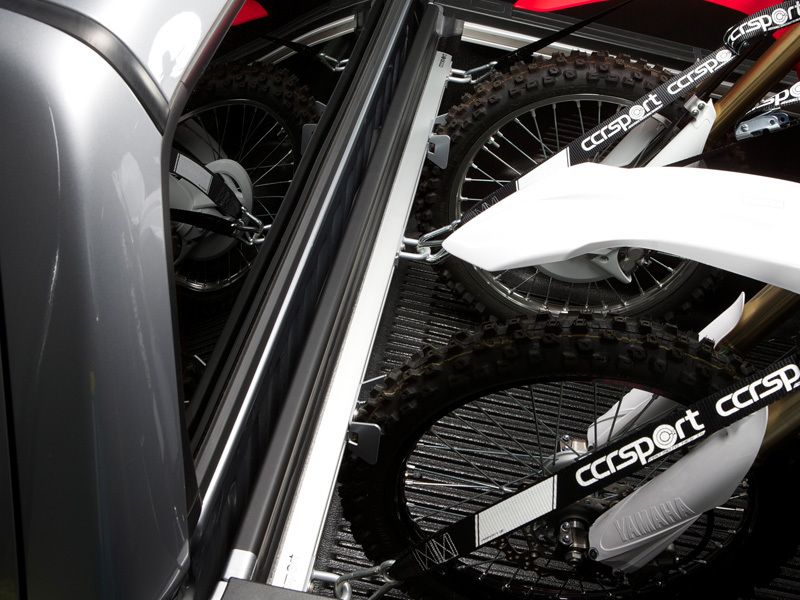 For the truck-owning motorcyclist in your life there’s this, the ProTrack Motorcycle Transport Kit, from CCRSport. The 6160 aluminum track bolts to the head of your truck’s bed (assuming your truck doesn’t already have a track from the factory, in which case CCRSport sells other accessories to serve a similar purpose), which then allows you to add components like wheel chocks, tie-down loops, bicycle mounts, and more. With the ProTrack, now it’s possible to load two motorcycles into the a truck and strap them down without having to thread a strap through a wheel. And, for dirtbike owners, there’s an optional accessory arm that attaches to the middle of the track and extends eight inches to allow a third dirtbike to be loaded, head first, without its handlebars interfering with the other two motorcycles. CCRSport makes ProTrack kits for full-size and compact trucks. Learn more about the kit at CCRSport.com. A gear-position indicator is one of those things you don’t realize you love until you ride a bike that doesn’t have one. 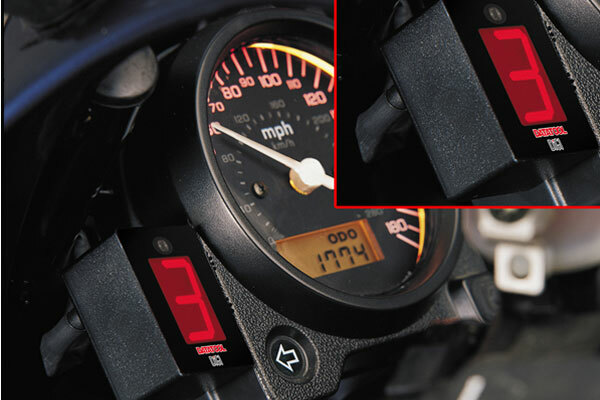 With the DiGi gear indicator from Datatool, now any motorcycle with an electronic speedometer and a 12-volt electrical system can have this luxury. The DiGi features 1-8 gear readout, neutral indicator, is self-dimming for night use, and can be reprogrammed should you change wheel or sprocket sizes. Amazon is where to go to learn more.